The Washington D.C. housing market has been stagnant, primarily due to a lack of middle adequate middle-class jobs. However, with an influx of potential new jobs, the market may grow rapidly over the next few years. The city has attracted a number of technology startups, which should stimulate the economy and drive the housing market in the months to come. Entrepreneurs Leave Silicon Valley for Washington D.C.
Silicon Valley in California has historically been the nation’s hub for technology startups. However, many entrepreneurs are abandoning Silicon Valley and launching businesses in Washington D.C. instead. These entrepreneurs are relocating from dozens of countries around the world. Zainab Zak is the founder of a rent-a-space building in Fairfax County that moved from India in 2010. Faced with a struggling economy and few job prospects, Zaki decided to relocate to the United States. “America is the land of dreams in which you can get what you want if you work hard enough to get it,” she told Imigrant Exodus. Zaki is one of many immigrants that chose to launch a business in Washington D.C. rather than Silicon Valley. There are several reasons entrepreneurship is thriving in D.C. The federal government has launched a number of new initiatives to lure tech startups and talented engineers to the city. The government hired a number of programmers to develop the Healthcare.gov website. Many federal agencies may also need these coders for additional projects in the future. Leading Silicon Valley tech firms are also trying to expand in D.C. Samsung recently purchased D.C. startup Smart Things. The mobile device manufacturer believes the city offers many great opportunities to expand its business. Mayor Vincent Gray has repeatedly discussed the city’s affordable housing shortage. He wants to create 10,000 affordable housing units by 2020. The city is halfway towards reaching that goal, but housing experts warn the supply of affordable housing is going to still contract sharply after a price ceiling expires in a couple years. Some experts argue that the largest problem isn’t a lack of housing units. Recent data from Trulia shows that 75% of the houses on the market are affordable to the average citizen working in a career requiring a bachelor’s degree. However, few people outside the federal government sought employment in Washington D.C. up until a few years ago. Middle class families that wanted to purchase a home needed to relocate to other cities. The influx of technology jobs is an encouraging trend that will make it easier for families to afford housing in D.C. The only sustainable solution to the city’s economic problems is creating more middle class jobs. 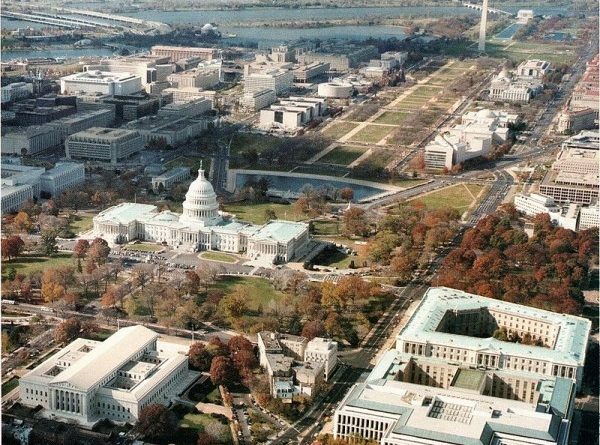 A growing supply of new technology businesses will enable more people to relocate to Washington D.C., which should fuel the city’s sluggish housing market.